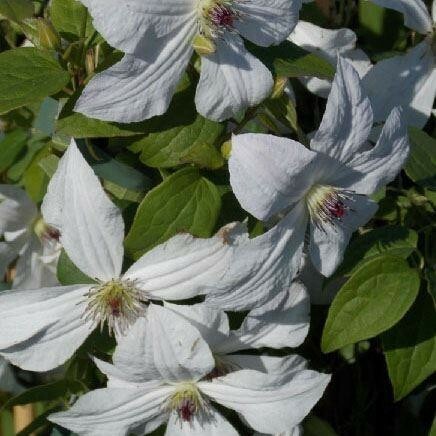 A hardy, deciduous climber, Clematis 'Forever Friends' has large white flowers that smother this plant from Summer right through until early Autumn. Tend to have 4, 5 or 6 petalled blooms which are often delicately flushed pink or violet. Prune hard, down to the lowest two buds at the end of Winter to encourage new and vigorous growth. Looks beautiful tumbling over a wall or scrambling through shrubs and roses. Thrives best in well-drained soil in a sunny position. Supplied in approx. 2-3 litre containers.